In addition to adding a sprawling collection of B-sides, demos, and live recordings, the 20th-anniversary reissue of Nirvana’s In Utero will also repackage some of its fans as people who have Nirvana tattoos—a similarly, possibly superfluous upgrade that’s of interest to diehards only. 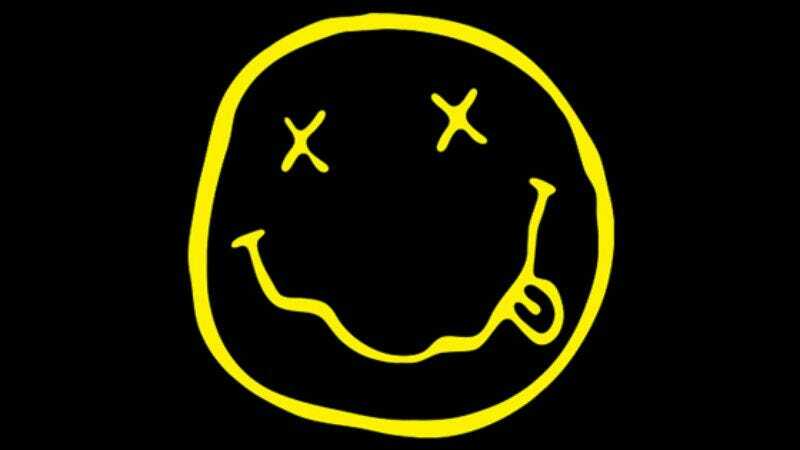 But if you live near Seattle, Long Beach, or Babylon, New York, if you’re over the age of 21, if you purchase the reissue or the Live And Loud DVD from one of three participating stores, and if you really want Nirvana’s smiley-face logo affixed permanently to your skin—but not so badly that you’d actually, y’know, pay for it—you’ll be able to do so for free, courtesy of the tattoo artists each of those stores will have on hand Sept. 24. It’s the perfect way to say to the world, “I enjoy the nonconformist, anti-commercialist attitude of Nirvana so much, I got the same tattoo as hundreds of other people to commemorate a special record company promotion.” Anyway, tattoos are black-ink only, they cannot be applied anywhere “explicit” (no buttholes), and, if we’re being honest, oh man, they could be a lot worse.